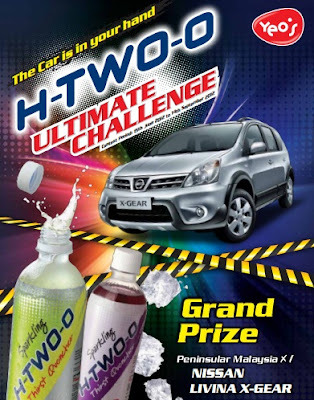 Purchase any of the Sparkling H-Two-O Can drink 330ml ( 1 point) or Bottle PET500ml (2 points). Collect the can pull ring with printed "YEOS" or bottle PET500ml label. 1 entry need 6 points. Top 10 entries will be selected from Peninsular Malaysia to participate in the event ﬁnale scheduled at the following respective venue. Visit YEOS website for more details.